My work probes the historical conditions for the possibility of philosophy and politics in the modern world and in East Asia in particular. I am generally interested in the attempts of East Asian intellectuals to resist modernity through reviving premodern philosophies and religions, such as Buddhism. 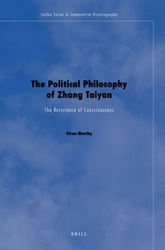 My first book, The Political Philosophy of Zhang Taiyan: The Resistance of Consciousness, shows how in early 20th century China, Zhang Taiyan, drew on Consciousness-Only (Yogācāra) Buddhism to formulate a theory of revolution. In particular, the book explains how this seemingly ancient body of knowledge is reformulated as China was incorporated into the global capitalist system of nation-states. My more recent project, tentatively entitled, “Imagining Asia: Takeuchi Yoshimi and the Conundrums of Asian Modernity,” examines how philosophies of resistance intersect with visions of transnational identity and hopes for an alternative future. 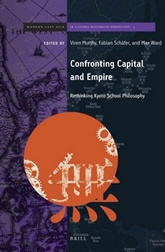 The historical context for this second work continues to be the fundamental transformations in conceptions of space and time associated with spread of global capitalism and how such changes affect the way intellectuals in East Asia conceive of political alliances, strategies and futures. In this context, the project not only concerns the manner in which Takeuchi re-imagines the politics of Asian identity, but also how such imaginaries relate to attempts to imagine a different world by Marxists in Japan and elsewhere in East Asia. The project about Asianism also has an important contemporary dimension and in this context I interrogate the work of various proponents of Asianism, such as Baik Yong-soe, Kuan-hsing Chen, Sun Ge and Wang Hui. Joyce C.H. 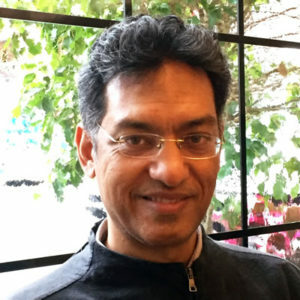 Liu (Co-editor), Viren Murthy (Co-editor). 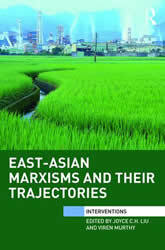 East-Asian Marxisms and Their Trajectories. Routledge Taylor & Francis Group, 2017. Prasenjit Duara (Co-editor), Viren Murthy (Co-editor), Andrew Sartori (Co-editor). 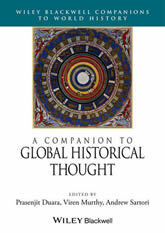 A Companion to Global Historical Thought. Wiley, 2014. “Transfiguring Modern Temporality: Zhang Taiyan’s Critique of Evolutionary History,” in Modern China, September, 2012. “The Strange Fate of Civil Society in Japan and China,” in Frontiers of History in China, Aug, 2012. “The 1911 Revolution and the Politics of Failure: Takeuchi Yoshimi and Global Capitalist Modernity,” Frontiers of Literature in China, May, 2012. 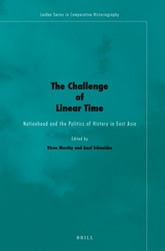 “Reconfiguring Historical Time: Moishe Postone’s Interpretation of Marx” in History and Heteronomy, edited by Nakajima Takahiro, University of Tokyo Center of Philosophy, Tokyo, 2009, 9-31. “The Politics of Fengjian in Late Qing and Early Republican China” in Kai-wing Chow, Tze-ki Hon and Hung-yok Ip eds., Modernities as Local Practices, Nationalism, and Cultural Production: Deconstructing the May-Fourth Paradigm on Modern China, from Lexington Books, 2008. 151-182. Modernity Against Modernity: Wang Hui’s Critical History of Chinese Thought,” Modern Intellectual History Vol. 3.1, April, 2006, 137-165.